Stylish Hat Rack Ideas – People like wearing hats for special occasions. Even many singers like Bruno Mars always wears a hat during his performance. This is why people like collecting hats. They want to be like their favorite singers or simply look cool. And cool hats need cool hat racks. Keep on reading and you’ll find 10 stylish hat rack ideas for your classy hats. Hats used to be worn due to weather conditions. But today, hats are worn for various reasons including fashion accessories to make people look cool. And maybe you are one of hats collectors. Having many hats is cool, but storing them improperly is not cool. You need to store them properly so that they are still in their A-1 condition. If you can’t be a real cowboy, at least you can wear cowboy’s hats. A cowboy hat is not always for a masculine-look man riding a horse. Country music singers and ranch workers wear this high-crowned, wide-brimmed hat. Since cowboy hats are wide-brimmed, racks with U shape will hold your hats well, not to mention the decorative look. 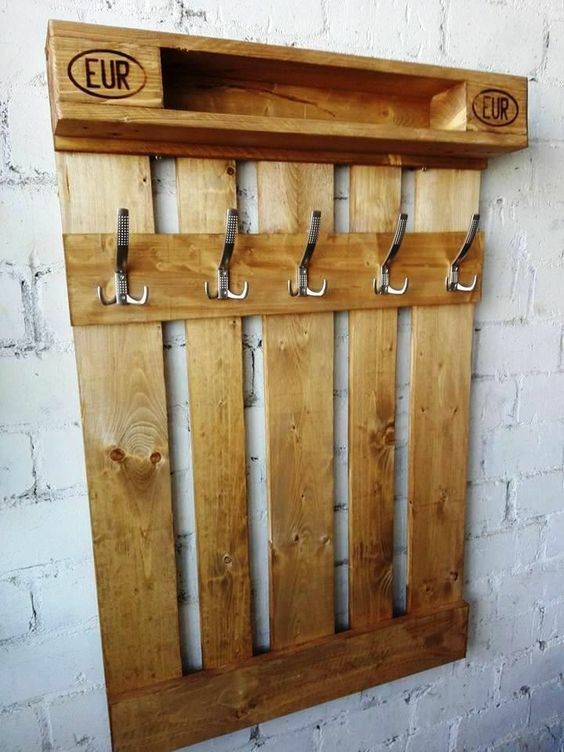 You can even make the racks by yourself by using a wood plank and some nails. Don’t forget to veneer it for its finished look. Your cowboy hats are hung well and your room looks nicer. 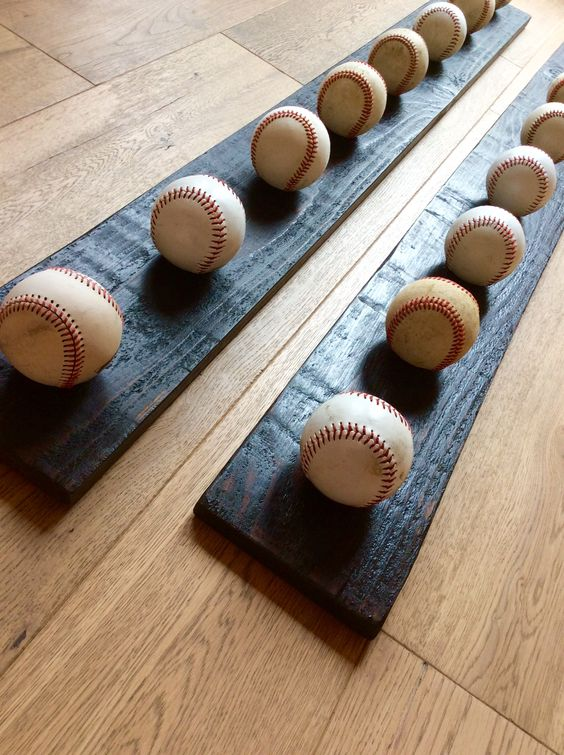 Any avid baseball players are going to love this hat racks. The distinctive design denotes the creativity of a baseball player. In addition to being a hat rack that can hold your caps neatly, this hat rack can also be a nice decoration for your interior design. This rack is easy to make such a great idea for a DIY. Don’t throw your used baseball stick into a dustbin as you can repurpose it. Cut it in half then attach some hooks on them to hold your caps. Making hat racks from some leftover always does the trick. If you are refurbishing your house by renewing fences or deck skirting don’t ditch the wood planks. 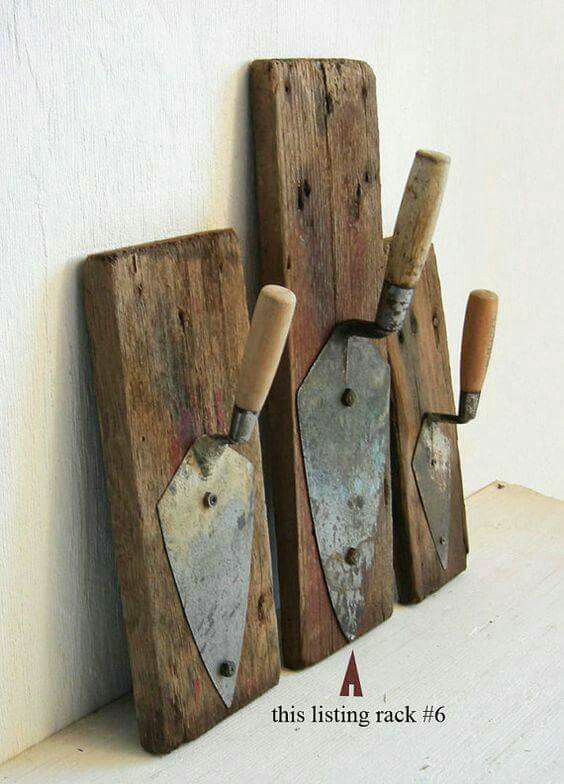 They can be repurposed for a stylish hat rack. Collect the leftovers. Arrange them in random position the diversity of length will make the rack look more artistic. Then, nail them on a long wood plank. Don’t forget to attach some hooks. 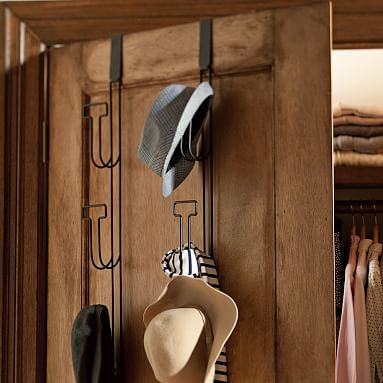 If you don’t have enough space to hang your hats, you can always use your closet’s door for your additional hangers. Well, any doors will do, though. And they really do in a pinch. You only need to attach some hooks on the closet’s door. You can either get the hooks in a supermarket or use the magic of DIY. Now, your closet’s door is no longer dull and empty. 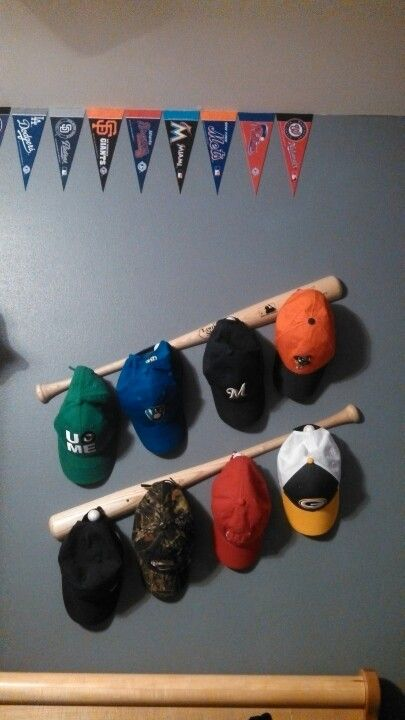 Another creative idea for baseball players who likes collecting a dozen of baseball caps, a hat rack made of baseball. 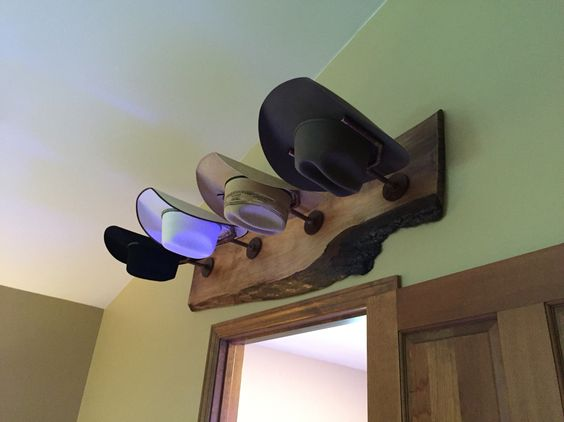 This hat rack is absolutely cool and will impress everyone who sees it. You can’t find it in a supermarket, and thus you need to make it by yourself. It is just a piece of cake. You only need two wood planks. You can either stain or veneer them or just leave them as they are. Then, attach some used baseballs in place of hooks. Bring the classic and retro of Texas cowboy like what you usually see in action movies. If you hear the word cowboy, what pops into your head? Horses, guns, saloon, or hats? Now you can accentuate your house with cowboy hat racks that make you feel like being in a saloon. The roughly cut wood play an important role in this rack’s look. Then, attach some “U” shape hooks that will be used to hold the crown of the hats. If your house uses classic interior design or a Victorian style and you want to have something that can complement your house style? Why don’t you roll up your sleeves and began to grab your hammer and screwdriver? 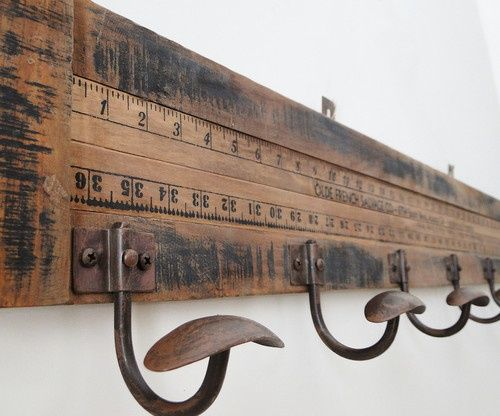 Ruler hat rack provides a classic─but not obsolete ─ look to your house. The natural unfinished wood plank and bronze hooks create a perfect combination. 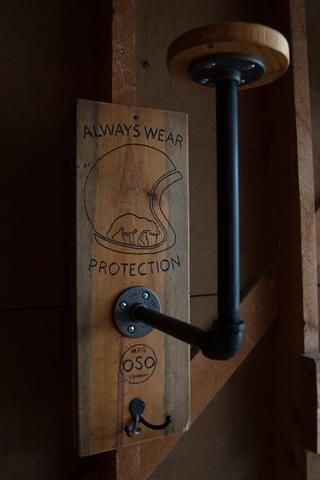 The saddle-like hooks enable you to hang hats, shirts or even helmets. The combination of brown and gold gives an elegant touch to your wall although it is solely a hat rack. The simple design with a long light brown plank and dark brown planks on each of the edges never fail to make your house’s interior design look elegant. Not to mention the red and gold sticks that you use to hang your caps or shirts. This hat rack is such a great accessory for your wall. Again, the leftover can be more than just a waste. 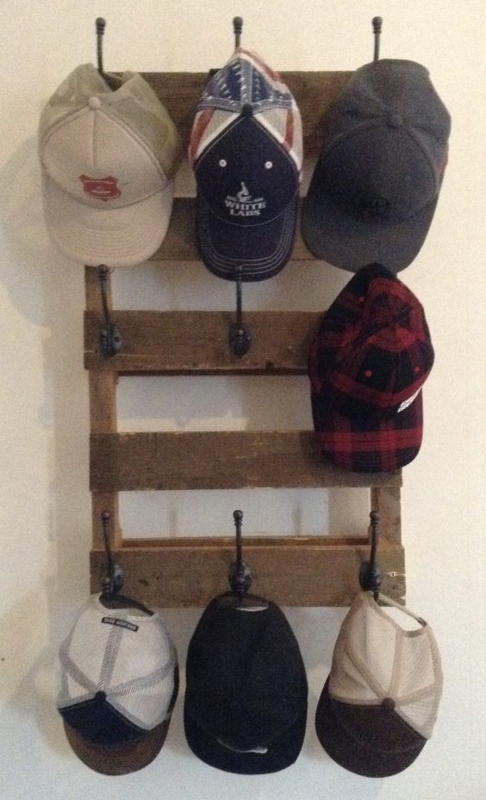 Don’t throw your old wood planks into the dustbin because you can still use them to make a nice hat rack. To kick the hat rack up a notch, you can add finishing touch like veneering or staining it so that it looks new and doesn’t look obsolete at all. But if classic thing is your cup of tea, leaving it all the way it is will be just peachy. A hat rack that can be used for many purpose? Is it possible? Why not? You can hang your caps, clothes, keys, helmets or even your fussy girlfriend here (just kidding). This rack is easy to make. You only need a wood plank, some screws, hooks and pipes. The round flat surface on the top of the pipe is used to handle your helmet, making it stay in its position, the small hooks under the pipe can be used to hang your caps, jackets or keys. It is really practical and also make a pretty good decoration. What do you normally do with your collection of hats? After you wear one, do you put it in the wardrobe or just toss it elsewhere in your room? Since hats are for your head, let’s put them in a more decent space. To avoid losing them or getting them in a bad condition, you will need some proper DIY hat rack ideas. Choosing the one that suits your need best from all the DIY hat rack ideas might feel a little bit tricky. If you check some of these out one by one, perhaps you can find it. 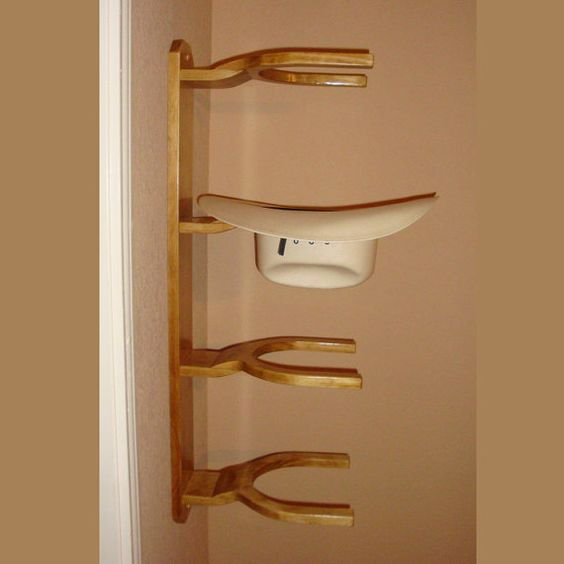 This hat rack idea is considered very masculine. When it comes to bullets, you will surely think about guns and hunting seasons. However, you can also use bullets for this. You can start by choosing the right piece of platform to be hung on the wall. For example: an artwork made of wood. Then, weld the bullet ends into the platform. They will surely be strong enough to hold any hats or caps you leave hanging there. 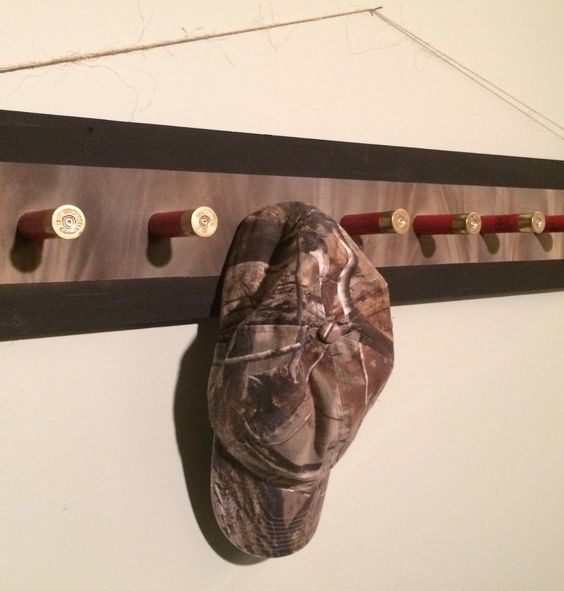 This is one of the most unique DIY hat rack ideas that you can think of. At first, this hat rack looks just like any ordinary hat rack. What makes it different is the small pieces in the wooden frame. The pieces can be pulled out for hangers. If you still have used crates, do not throw them away just yet. Either the lid or one of the sides, you can use it to create a hat rack on the wall. 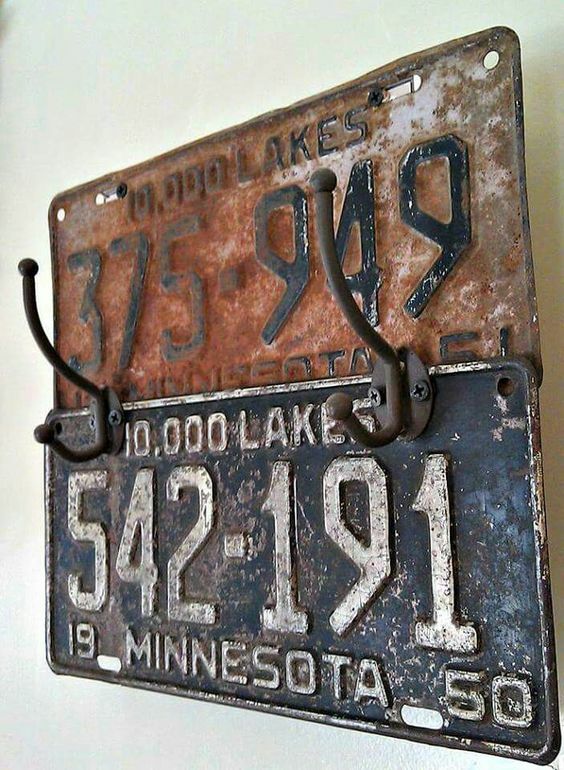 Before attaching it to the wall, do not forget to weld metal bars to hang your hats and caps later on. At a first glance, you would probably feel a bit reluctant to consider this idea. However, if you wash all the materials first before using them, you will get yourself an interesting-looking hat rack idea. You need some used wood pallets and soil-scoopers you no longer use. You can either use nails and hammer to attach the scoops to the wood pallets with the holders sticking out. The holders will function as hangers for your hats and caps. In fact, they can also be used to hang other stuff, like coats and keys. This concept is somewhat similar to another one before above. The difference is that instead of using soil-scoops (which might be considered icky to some people), doorknobs are the alternatives. 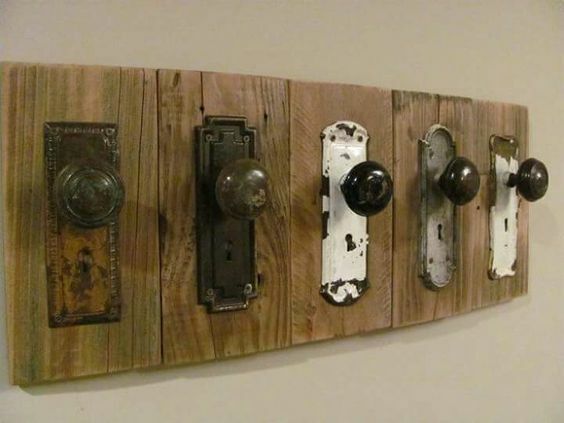 If you still have broken doors but the parts around the knobs are still intact, you can use them as unique DIY hat rack ideas. You may want to trim the edges around the doorknobs before attaching them to the wall, using nails and hammer. If you still have some old clothes’ hangers you no longer use, keep them. Although they are no longer suitable to hang your favourite outfits in the closet, they still have another function. Yes, believe it or not, this is it. The first thing to do is to have a wooden pallet for the frame. Cut the hangers in halves and use the halves with the wires to hang that stick out. Drill the cut hangers into the wooden pallet with the wires sticking out. There, you have your own hat rack that is one of a kind. First of all, make sure that these lisence plates are no longer valid. After that, weld them together with metal or iron bars for hangers in the middle. 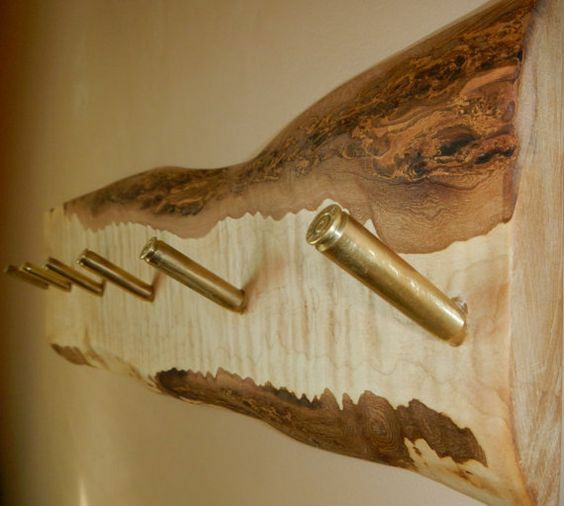 Hang this unusual hat rack on the wall. You will get your guests in awe when they come over for a visit. 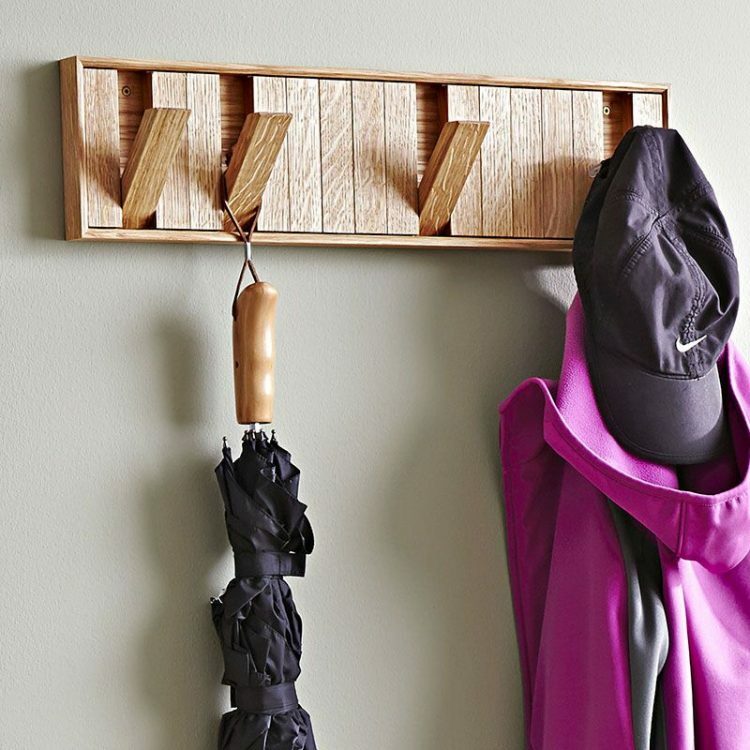 Besides for your hats and caps, this hat rack also works wonders to hang your coat and keys. Put it in the kitchen or an entryway, as long as it matches the entire room. No need to repaint the surface and keep the rusty look, as long as it is safe for your health. Have you checked the idea in No.6 already? 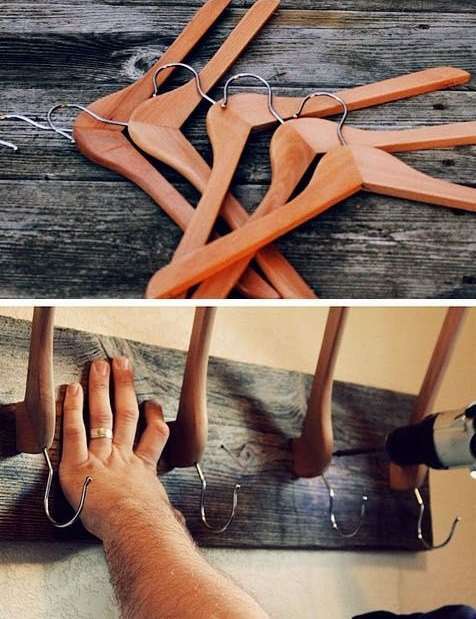 This is another way to make your old clothes’ hangers more useful at home. After you cut them in halves, join the halves with the wires sticking out for hanging clothes. You may use a special glue for woodwork. For the background platform, you may choose a wooden pallet or other materials. Make sure this hat rack look good and artistic, so watch out for the colour combination. To play it safe, go for the monochromatic combo. If the DIY hat rack ideas above are still not enough, go to autoshops or warehouses for unique materials. This is one of the unusual ideas you can think of. Before welding the large screws into the metal platform, you can also paint the screws so they will not look too dull. 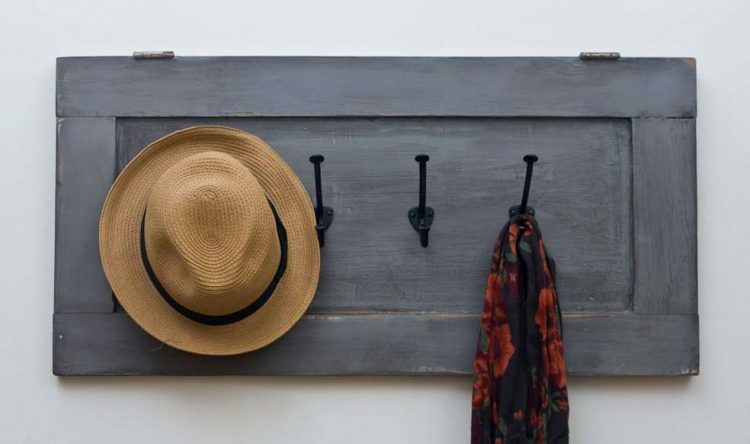 After that, you can attach the metal platform into a wooden pallet to have a larger, more solid platform before you hang this hat rack on the wall. 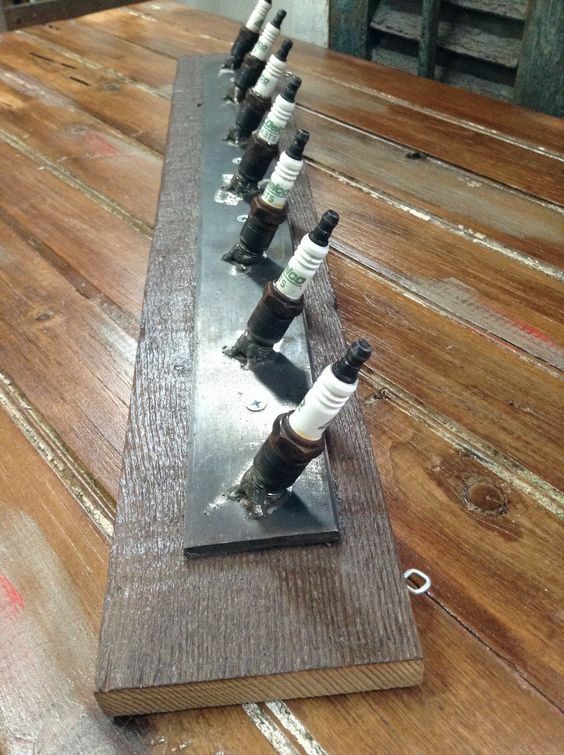 Use nails and hammers to attach it and wires to hang the rack. 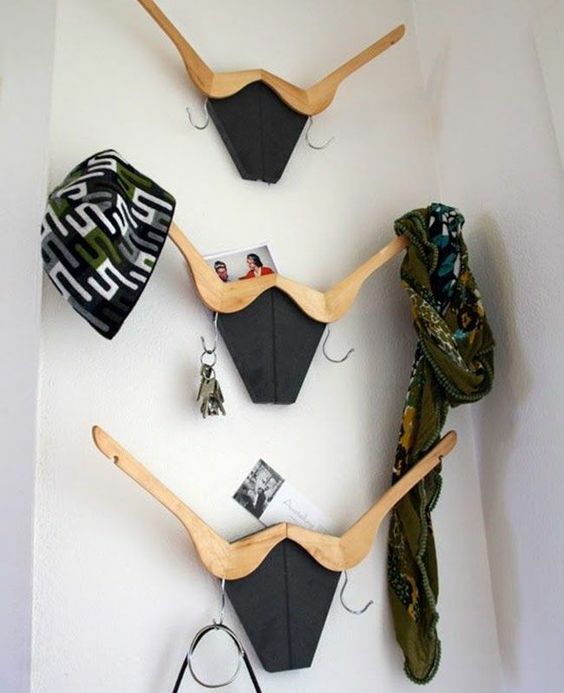 If you are into nature, perhaps this hat rack idea is perfect for you. Find the right-sized tree bark. After cleaning it up and brushing the surface, place it on the platform and put it inside your house. 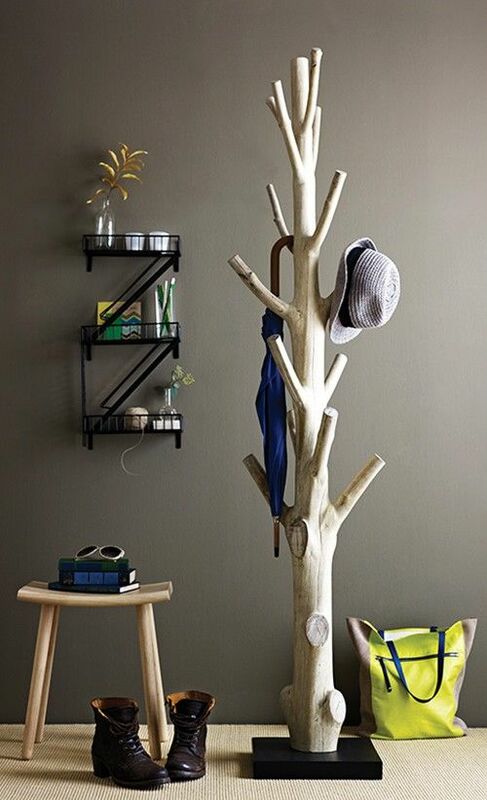 Depending on the size and weight, make sure your tree bark hat rack is strong enough to hang hats, caps, and possibly coats. If the hat rack cannot hold too many things at once, do not push it. To some people, a hat rack may be not that important. However, since you love wearing hats or caps and would like to keep your head healthy, these DIY hat racks are necessary. 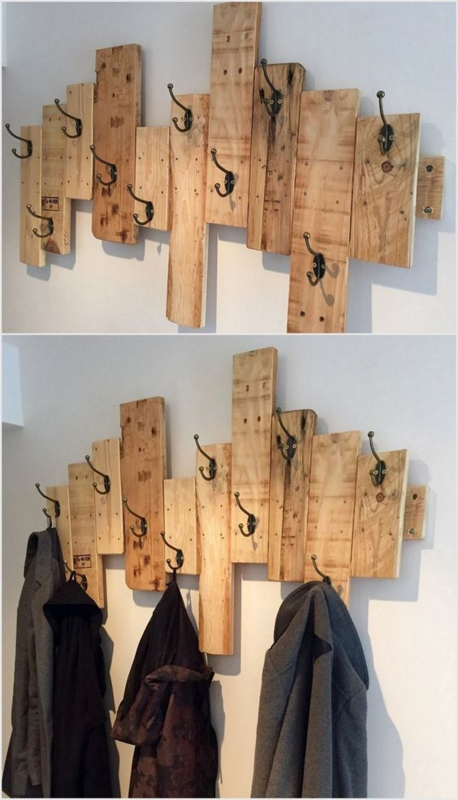 There are so many things that you can do with hat racks. And these hat rack ideas are such great things to accentuate the corner of your room as well as storing your favorite hats and caps neatly. Besides, by using leftover that you can find around your house, you will be able to have a nest egg. Isn’t that good? Having a stylish hat rack does not have to burn a hole in your pocket nor make you break a sweat for it. In addition to those 10 creative hat rack ideas, you can still also explore your own creativity by tweaking any reusable things around you. Now roll up your sleeves, get the hammer, get the materials you need and let’s get to work!